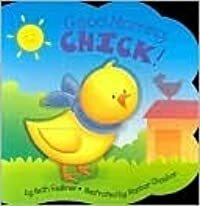 Join Chick as he prepares for Easter with this charming board book with a special three-dimensional die-cut cover! In Good Morning, Chick!, little Chick breaks out of his shell on one morning to find his new world bustling with Easter preparations. What better way to say good morning than with this adorably illustrated, whimsical board book?